This is how we should all address urban cycling any day: head up, heels on and eyes closed. Okay, maybe you shouldn't close your eyes... at least not for long. But keep it cool, keep it relax. This woman is a beautiful example of casual grace being spread on an autumn afternoon commute. 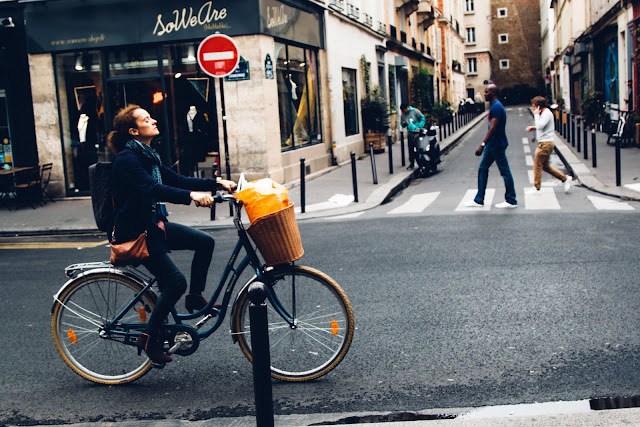 Riding her bicycle along the city streets, she includes wander, balance and charm.